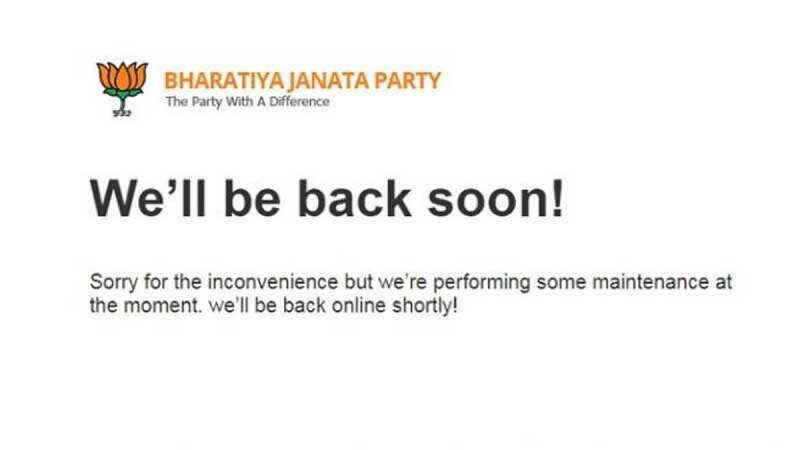 New Delhi : Bharatiya Janata Party's official website has reportedly been hacked and it has been taken offline after the hackers defaced it. BJP's official website can be accessed on the url - http://www.bjp.org. No hacker group has claimed the responsibility so far. While an official comment on the incident is awaited from the party, the hackers filled the homepage of the website with mischevious content like memes of PM Narendra Modi and German Chancellor Angela Merkel. The screenshots of the website have gone viral on the internet too. As a security measure, access to the website has been restricted for now. A message on the home screen from the admin, however, says it will be back up soon. "We'll be back soon! Sorry for the inconvenience but we're performing some maintenance at the moment. we'll be back online shortly!" the message read.